Born in Durban, Maqhubela moved with his family to Johannesburg in 1951. In 1957, while still at school at Nakene High School in Orlando, Soweto, Maqhubela, encouraged by Ephraim Ngatane (qv. ), enrolled for art classes at the Polly Street Art Centre, where he studied under Cecil Skotnes (qv.) and Sydney Kumalo (qv. ), later also studying at Polly Street’s successor, the Jubilee Art Centre well into the 1960s. At this time, Kumalo stamped himself as the major influence in the development of Maqhubela’s early style. Maqhubela is also recorded as having received some practical guidance from the Italian-born South African artist, Guiseppe Cattaneo (b.1929). The year in which Maqhubela matriculated, 1959, was also the year that the apartheid government definitively closed ‘white’ universities to black students, and rather than studying architecture or fine art, as he had hoped, the young Maqhubela – by all accounts of a studious and intellectual cast of mind – was forced to get a job, working as a decorative plasterer and later mosaicist in the housing Section of the Non-European Affairs Department. In this capacity he created embellishments mainly for schools in Soweto, but also in other government buildings like Baragwanath Hospital in Soweto, where he executed a series of accomplished and charming mosaics on mainly animal themes in the Children’s Cerebral Palsy Ward, as well as other public venues like the Oppenheimer Towers in White City Jabavu in Soweto and the Mofolo Community Centre. Until the mid 1960s Maqhubela’s work, notwithstanding its occasionally registered elements of international trends of the time, fitted fairly snugly into the formulae and subject matter of black South African ‘township’ art. That was all to change with a three-month tour of Europe in 1966. During this time he met with the already-emigrated Gerard Sekoto (qv. ), but more importantly in terms of his own artistic evolution, was exposed to the art of modernists like Paul Klee in the flesh. 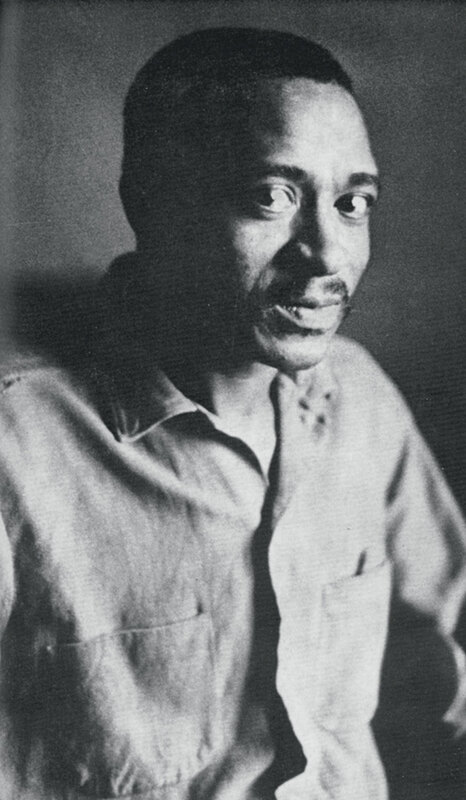 On this trip Maqhubela also made contact and worked with the émigré South African artist, Douglas Portway (1922–1993), an encounter which definitively shifted Maqhubela’s art away from primitivising expressionism towards an internationalising modernist abstraction – though still with an identifiably African cast in choices and harmonies of colour and qualities of line. Maqhubela left South Africa for Spain in 1973, before settling in London in 1978, and furthering his studies at Goldsmiths College in 1984–5, and the Slade School of Art between 1985 and 1988. Still resident in London, Maqhubela runs a successful art practice via his own website, producing work that, while it manifests the philosophical quality of international modernism, nevertheless remembers in often barely definable ways, the country of his youth. History will judge the final quality of Maqhubela’s work in the South African tradition, but in the meantime the importance of the bridge that he created for township artists, away from prescriptive expressionism and into internationalist styles and concerns, can hardly be overestimated. Born Durban, 1939. Training Studied part-time at the Polly Street and Jubilee Art Centres under Cecil Skotnes (qv.) and Sydney Kumalo (qv.). Exhibitions 1961: Artists of Fame and Promise, Lawrence Adler Galleries, Johannesburg. 1962: Artists of Fame and Promise, Adler Fielding Galleries, Johannesburg. 1963: Polly Street Artists, Lidchi Art Gallery, Cape Town. 1966: Artists of Fame and Promise, Adler Fielding Galleries, Johannesburg. 1967: Solo exhibition, Adler Fielding Galleries, Johannesburg; African Art, Piccadilly Gallery, London; Art SA Today, Durban Art Gallery. 1968: Solo Exhibition, Lidchi Art Gallery, Johannesburg. 1969: Contemporary African Art, Camden Arts Centre, London; Polly Street Artists, Helen de Leeuw Gallery, Johannesburg; Art SA Today, Durban Art Gallery. 1970: Solo exhibition, Gallery International, Cape Town; Joint exhibition with Sydney Kumalo and Geoffrey Armstrong, Lidchi Art Gallery, Johannesburg; Johannesburg Artists – Diamond Jubilee exhibition of the JAG, Johannesburg Art Gallery. 1974: Festival of SA Graphics and Multiples, Goodman Gallery, Johannesburg; Group exhibition, Gallery International, Cape Town. 1976: Group exhibition, Gallery International, Cape Town. 1981: Black Art Today, Jabulani Standard Bank, Soweto. 1983: Art and Artists of SA, University of the Witwatersrand Galleries, Johannesburg. 1986–7:Johannesburg Art and Artists: Selections from a Century, Johannesburg Art Gallery. 1987: Contemporary SA Prints and Drawings, Iziko South African National Gallery, Cape Town. Awards 1959: Rembrandt Company Schools Exhibition (prize) 1961: Artists of Fame and Promise (Second prize) 1969: Art SA Today (Cambridge Shirt Award) Collections Africana Museum, Johannesburg; Anglo-American Collection; Johannesburg Art Gallery Collection; Iziko South African National Gallery; Standard Bank Collection; University of the Witwatersrand Collection; MTN Art Collection. Louis Maqhubela. Source. The Classic. Vol. 3. No. 2. 1969. Photograph facing page 28. Photographer: Peter Magubane. The three works (plates 20, 21, 22) by Louis Maqhubela included here reflect something of his amazing trajectory as an artist over a period of some nine years between 1963 and 1972. Saturday morning (1963) is representative of what Esmé Berman has dubbed ‘his immature township illustrations’ which Maqhubela eschewed in favour of developing his skill and artistic programme in a disciplined manner.1 In short, he was never prepared to accept either the term or the status of a ‘township’ artist. While he could have made more immediate money by adapting himself to the ‘conventionalised figurative expressionism’ demanded by the growing market for ‘township art’, he opted to explore the rigours of hard study and above all the potential of drawing. The leap in Maqhubela’s growth as an artist was assisted by his winning entry in the Artists of Fame and Promise competition of 1966. This allowed him to travel and study abroad. Here he met expatriate figures such as Gerard Sekoto (qv.) and Douglas Portway. His encounter with Portway on one hand, and the work of Paul Klee (1879–1940) on the other, revolutionised his style, which adopted their playful, inventive linearity and soft, luminous forms, which is easily evident in Boy and horse (1970), produced in South Africa after his return. Untitled Abstract (1972) shows his total departure from figuration and his focus on richer colour and visionary effects. Maqhubela’s artistic dialogue was by this stage no longer engaging with South African political and cultural issues. He left the country for Spain in 1973 and in 1978 finally settled in London where he studied formally at Goldsmiths’ College and the Slade School. His contact with British art and artists has fostered further change and new directions in his work, as his recent exhibitions in London demonstrate. Esmé Berman. 1983. Art and Artists of South Africa. A.A. Balkema. Cape Town and Rotterdam. p.270.